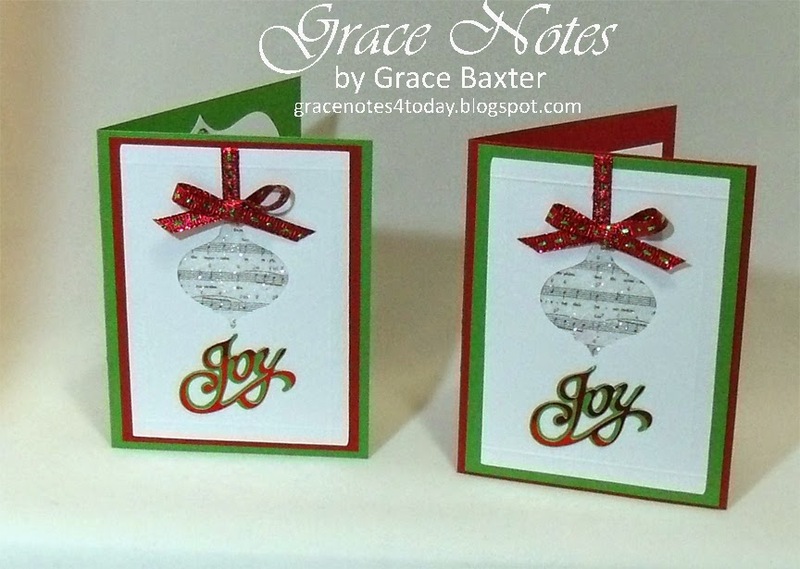 This pair of sparkly ornament cards feature the real music from the Christmas carol, Angels We Have Heard on High. One card is green on red, the other is red on green. I love using the actual music scores whenever possible in my cards. For all the details and more pics, be sure to stop by the Christmas blog at It's All About Christmas HERE.